Belated, but heartfelt, thanks to all the lovely folks who came to the 80th Annual League of New Hampshire Craftsmen’s Fair at Mount Sunapee this August. Hand-sewing the lining into a felt hat at the 80th League of NH Craftsmen’s Fair. It’s great fun to introduce my hats to people for the first time, and especially to reconnect with past customers. 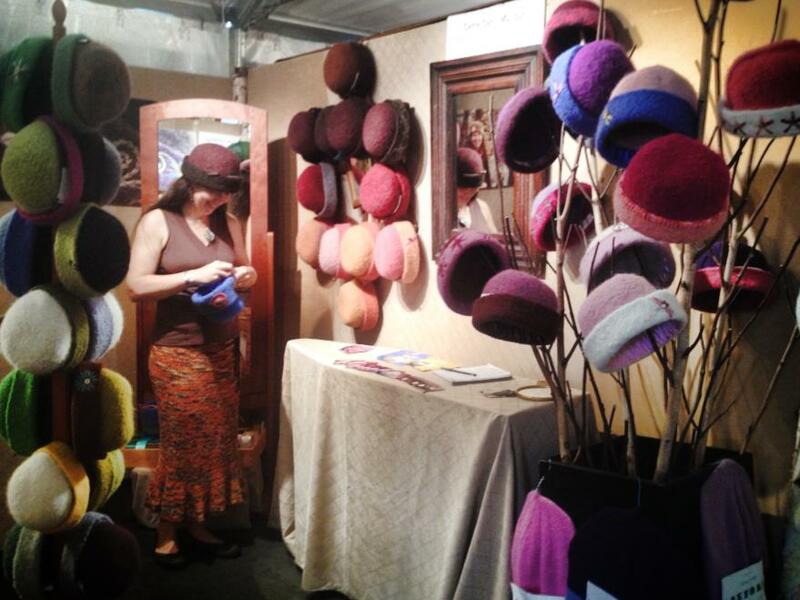 I love hearing how my hats are faring in the wider world. 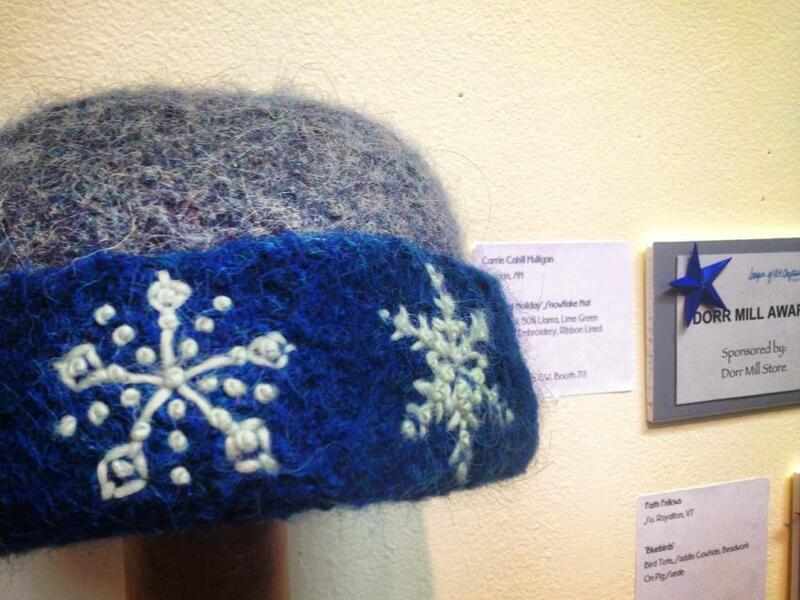 Embroidered felt hat, “Highland Holiday”, winner of the 2013 Dorr Mill Award. This year, I went on a bit of a snowflake embroidery binge, something I haven’t done in 5 years or so. In fact, one of my snowflake designs earned me the 2013 Dorr Mill Award, for which I am most grateful. The League of NH Craftsmen’s Fair always begins the first Saturday in August. Mark your calendars now for the next one: August 2-10, 2014. Hope to see you there! This entry was posted in Fine Craft and tagged Annual League of New Hampshire Craftsmen, Mount Sunapee by Carrie Cahill Mulligan. Bookmark the permalink. It was great meeting you Carrie and seeing your beautiful hats! The pleasure was all mine, Jan. Thanks so much for visiting!